David Yazbek, coming off his Tony-win for Best Score for this season’s Best Musical winner The Band’s Visit, is readying his next offering for the Broadway stage. 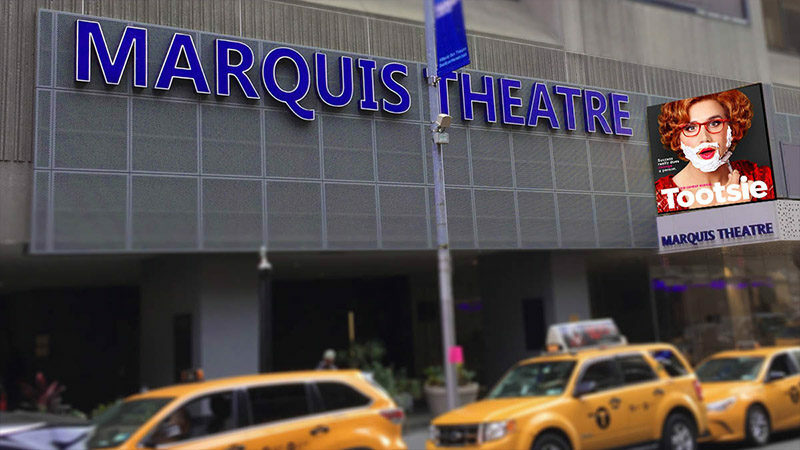 Tootsie, based on the popular 1982 comedy of the same name, will begin previews at the Marquis Theatre on March 29, 2019, toward an April 23 opening. Prior to that, Tootsie will have a pre-Broadway engagement at Chicago’s Cadillac Palace Theatre. Joining Yazbek (The Full Monty, Dirty Rotten Scoundrels) in imagining Tootsie for the musical stage will be book writer Robert Horn (Dame Edna, Back with a Vengeance; 13), with direction provided by Scott Ellis (She Loves Me, On the Twentieth Century) and choreography by Denis Jones (Holiday Inn, Honeymoon in Vegas). The design team includes scenic designer David Rockwell, costume designer William Ivey Long, lighting designer Donald Holder, and sound designer Brian Ronan. “Tootsie tells the story of a talented but difficult actor who struggles to find work until an audacious, desperate stunt lands him the role of a lifetime.” The film version starred Dustin Hoffman, Jessica Lange, Bill Murray, Teri Garr, Dabney Coleman, Charles Durning, and Geena Davis. Directed by Sydney Pollack, Tootsie features a screenplay by Don McGuire and Larry Gelbart. 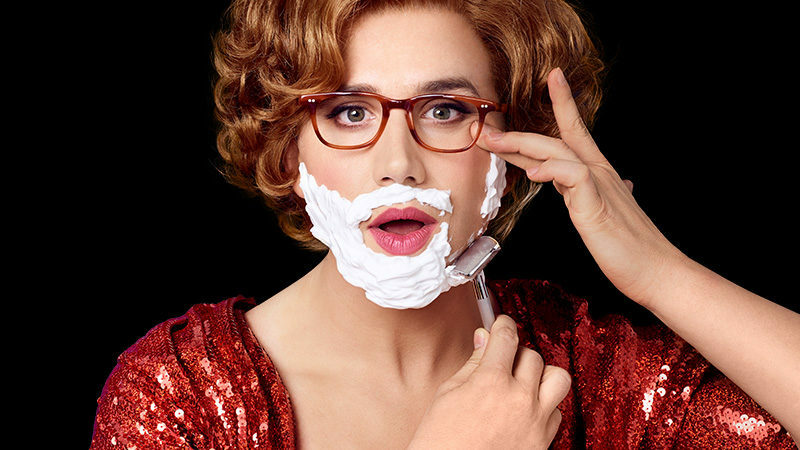 Santino Fontana will lead the production as Michael Dorsey, with Lilli Cooper as Julie Nichols, Sarah Stiles as Sandy Lester, John Behlmann as Max Von Horn, Andy Grotelueschen as Jeff Slater, Julie Halston as Rita Mallory, Michael McGrath as Stan Fields, and Reg Rogers as Ron Carlisle. The company also includes Sissy Bell, Barry Busby, Paula Legget Chase, Britney Coleman, Leslie Donna Flesner, Jenifer Foote, John Arthur Greene, Drew King, Jeff Kready, Harris Milgrim, Adam Monley, Shina Ann Morris, James Moye, Katerina Papacostas, Diana Vaden, and Anthony Wayne. Tootsie is currently on-sale to groups of 10 or more. Tickets will go on sale to the general public beginning Monday, October 1, 2018, at 10 AM EST. Tootsie is produced by Scott Sanders Productions, Unibail-Rodamco-Westfield, Carol Fineman, Columbia Live Stage, Sally Horchow, James L. Nederlander, Judith Ann Abrams, Robert Greenblatt, Benjamin Lowy, Cindy and Jay Gutterman/Marlene and Gary Cohen, Stephanie P. McClelland, Michael Harrison/David Ian, A Few Good Women Productions, Roy Furman, Peter May, Seriff Productions LLC, Tom McGrath/42nd.club, The John Gore Organization, Independent Presenters Network, Chris and Ashlee Clarke, Phil Goldfine, Jonathan Littman, and The Woodland Hills Broadway Group.